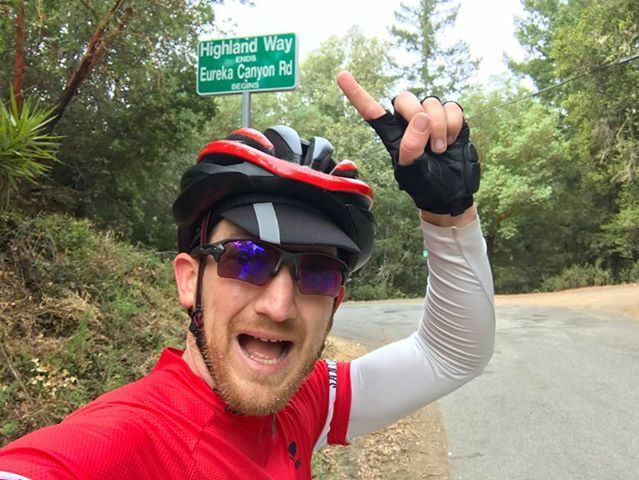 Our Aptos crew recently made this cyclist’s day! And he — Jeremy Shapiro — was stoked enough to write in and thank us profusely. We thought you’d enjoy reading his story! Mind you … Jeremy rides a FIXIE. All over the place! “I was coming down a gnarly descent (Eureka Canyon Rd) which is a wartorn, pothole ridden, abandoned road I likely shouldn't have been on. The fixie didn't love the descent and one of my hoods was getting loose which made climbs and descents challenging and ... my tires were feeling lower than I'd have liked. I popped into Epicenter in Aptos and even though they weren't open yet, the staff happily grabbed a floor pump for me to top up my tire pressure and when I asked if I could borrow some tools, even though they weren't open yet, they were happy to assist while they went about opening the store up. “After spending far too much time struggling on my own, I realized that my hoods required a longer than normal tool to adjust, and went back to the mechanics (now that the shop was open) and not only did they have the right tools, they popped the bike up on the stand, removed the brakes (terrible hood design), tightened everything up, and put the brakes back on again and had me on my way in no time. Moon setting in Los Gatos. Jeremy is a rock star on that fixie! He and his team “Team Whistle Pig” are racing the Silver State 508 right now as we post this. The Silver State 508 is a 508 mile race across Nevada and back. with 20,000 feet of elevation gain. They already hold a course record … and are off to set another. Join us in cheering Jeremy and his teammates on as they complete the course! Live race timing here: the508.net/live-race-tracking.